Motivated Sellers Bring all offers!!!!!!!! 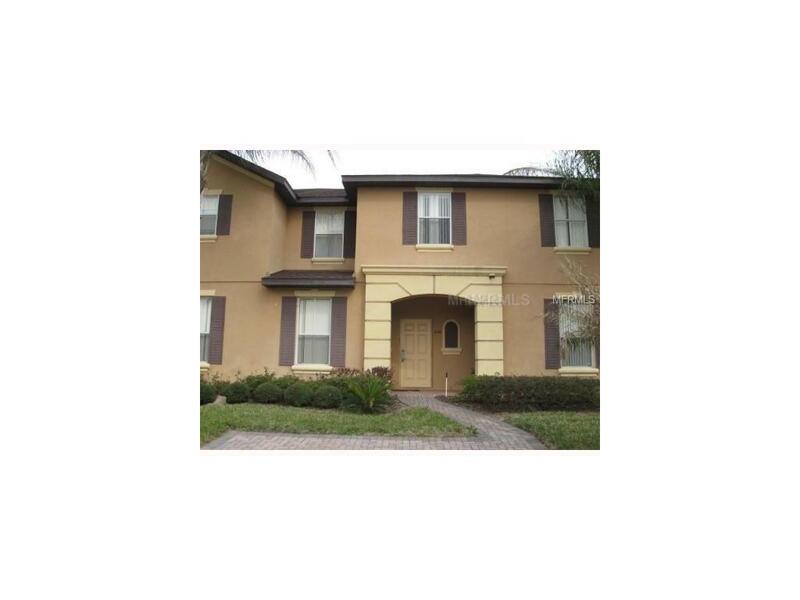 Fully furnished 3 bed/2- bath townhouse, ceramic tile floors in bathrooms & kitchen. Enjoy the outdoors on the patio or enjoy the very large and open living space downstairs. Relax in your master bedroom retreat with garden tub Kitchen is nicely equipped for primary or vacation home. No outstanding HOA on this property so NO $10,000 HOA INITIATION FEE. Basic phone, internet, cable included with HOA & Club fees. Regal Palms Resort, one of the most popular resorts in the Disney vacation area of Orlando and Central Florida, minutes to Disney property with amenities like: Two swimming pools at the clubhouse, one with slide, lazy river and zero point entry. There's a poolside tiki bar, sand volleyball courts, clubhouse with sports bar and restaurant, onsite reception, indoor and outdoor spa, fitness center with sauna and steam room, day spa, internet caf and business center. Enjoy Banana Jacks! and the indoor pirate themed play zone! This gated community has so much to offer and walking distance to grocery store, many restaurants, ice cream shop, bank, pharmacy, emergency clinic and much more! Listing provided courtesy of Empire Realty & Management Services.